PAP grassroots leader Eunice Chia-Lim has riled many Singaporeans after she wrote on social media that the Government should not be asked to protect locals from foreign competition since this would reduce the attractiveness of Singapore in the eyes of foreigners which would, in turn, mean that there are no good jobs here. 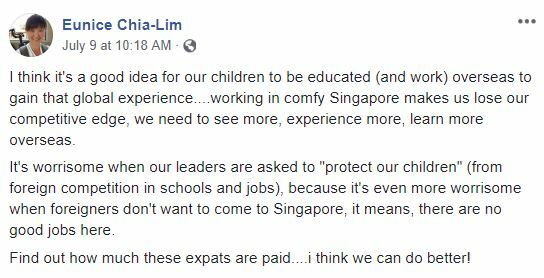 Eunice had been referring to an article by an economics and industrial relations professor at Nanyang Technological University (NTU) who tackled the issue of why companies here still hire expat staff even though they seem to cost more. In his piece, the professor concluded that the gap between the pay expatriates working here earn and the salary Singaporeans earn is not so large when you take funds that go into local employees’ Central Provident Fund (CPF) account into consideration. This is not the first time that the ruling party supporters has made waves for her Facebook comments. 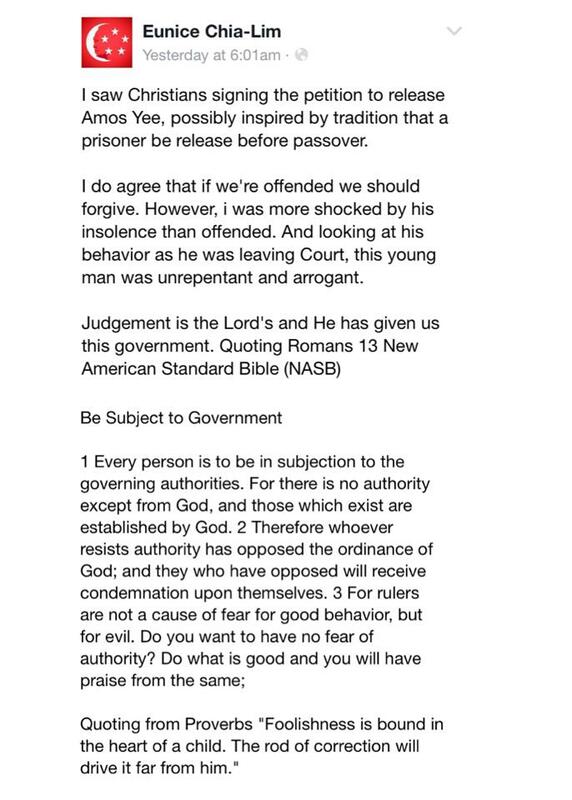 Weighing in on Amos Yee’s infamous youtube video post-Lee Kuan Yew’s death in 2015, Eunice quoted bible verses to make the point that the people must be subject to the government. Besides being a PAP grassroots leader, Eunice is the sister of Singapore’s first wheelchair-bound parliamentarian, Nominated Member of Parliament Chia Yong Yong. 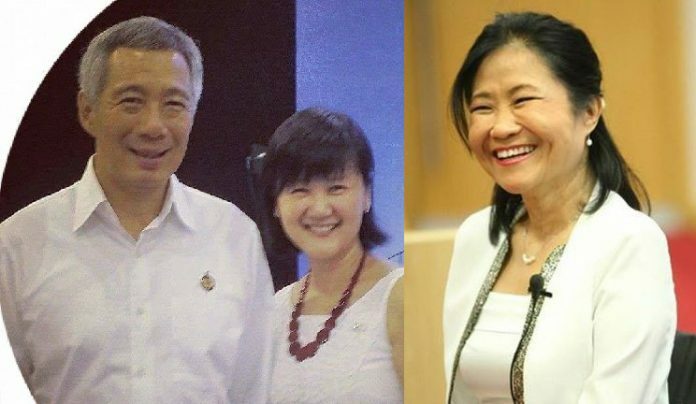 Prime Minister Lee Hsien Loong commended Chia’s speech as “excellent” while ordinary Singaporeans weren’t too thrilled with her opinion. 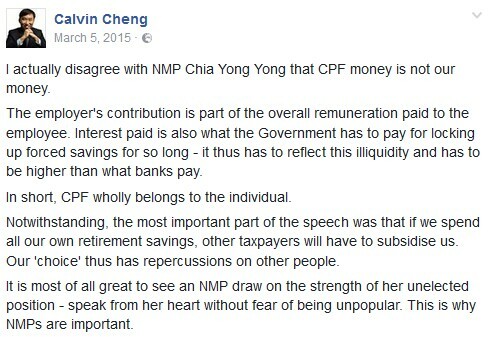 The ensuing public outrage that arose after Chia’s speech was so notable that Minister Tan Chuan Jin had to assure Singaporeans a year later that CPF savings are their money. More recently, Chia made headlines last year when it was revealed that she was one of the members in now-President Halimah Yacob’s election team during the reserved Presidential Election 2017 that President Halimah won by walkover.